Crobs founder, Chris Roberton, is often asked how long he’s played chess for. He either replies with “all my life” or “forever”. This had us wondering how long the game has actually existed for, which led to us somehow losing a day or two in research. To make our shortened lifespan worthwhile, we’ve dedicated this blog to sharing what we’ve learnt about chess’ origins. Historians claim that chess can be traced back 1500 years. Precursors to chess originated in India in the 6th century during the Gupta Empire. Then, it was known as chaturaṅga, which translates to “four divisions” of the military – infantry, cavalry, elephantry, and chariotry. These divisions have evolved into the modern day pawn, knight, bishop, and rook (respectively). Chaturanga was played on an 8×8 board called an ashṭāpada. Interestingly, there are marks on the board which to date are still not understood. Chaturanga was a war simulation, the province of royalty, so only a select few were eligible to partake. From India, the game spread to Persia where its name was changed to Chatrang. Game play was greatly influenced by Persian culture. One of the most significant adaptations was the introduction of ‘Shāh!’ (Persian for ‘King!’), which has developed into ‘check’, and ‘Shāh māt!’ (Persian for ‘the King is finished!’) ‘checkmate’. 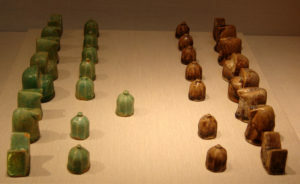 Following the Islamic conquest of Persia, chess was given the Arabic name ‘Shatranj’ and was played on an 8×8 board that featured 16 pieces each side including the soldier (pawn), the horse (knight), the elephant (a weaker bishop), the chariot (rook), the counselor (a much weaker queen), and the shah (king). Capturing all one’s opponent’s pieces bar the king was a win – unless the opponent could capture the last piece on his next move, which then meant the game was a draw. 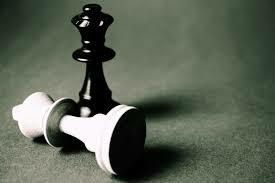 Stalemating one’s opponent’s king was also considered a win for the player delivering the stalemate. 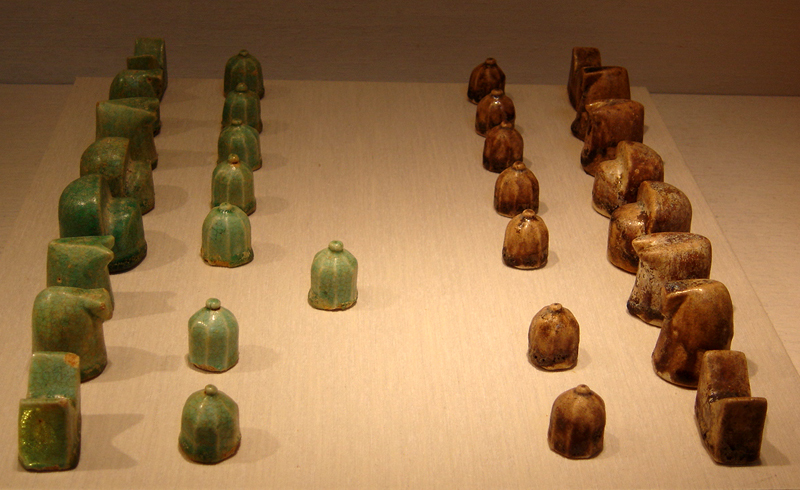 By the ninth and tenth century Shatranj was widely played in the Arab world. 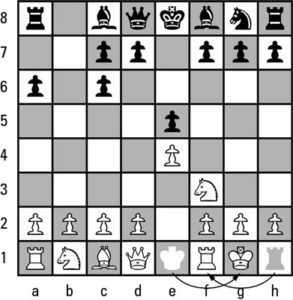 Modern day chess shares much similarity with Islamic chess, particularly the distinct difference between the opening, middle and end game. Chess was then brought to Europe at the start of the eleventh century, reaching Bavaria, France and England by the twelth and Iceland by the mid-thirteenth. Europe has remained the driver of developments in chess since then. In 1450, chess underwent its most radical change – the introduction of the mad queen. 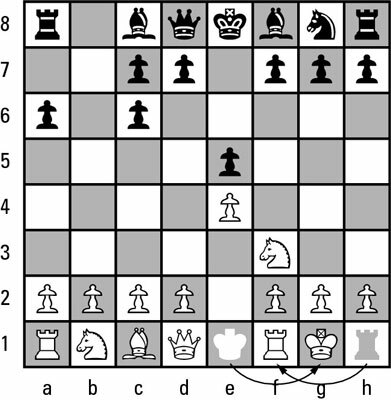 With the intent of making gameplay faster and more enjoyable, the rules were tweaked to allow the queen to move as far as players wanted, in any direction, diagonally, vertically, or horizontally, combining the movements of the bishop and the rook.This was a huge departure from the original rules which limiting the queen to moving one square diagonally per turn only. The change was so revolutionary that the French called the new game “ésches de la dame enragée” or “chess of the enraged lady” i.e. the “mad queen”. 1550- 1640 was a period of reform in which rule changes such as the legalisation of the pawn’s extended first move and the addition of castling significantly transformed chess play. A defensive manoeuvre, castling involves the king and rook switching places on the board, which removes the king from the centre and places the rook into a more active position, making it more challenging for the opponent to checkmate the king. This addition balanced the offence and defence and also helped to speed up the game. Algebraic chess notation was first used by Philipp Stamma in the 1700s. The main difference between Stamma’s and the modern system is his use of ‘p’ for pawn moves and the original file of the piece (‘a’ through ‘h’) instead of the initial letter of the piece. As chess had no time limits in the early 1800s, games would sometimes last more than 14 hours. Weaker players would try to tire their opponents and outlast them for the win. Thus in 1861, the first chess timers were introduced. 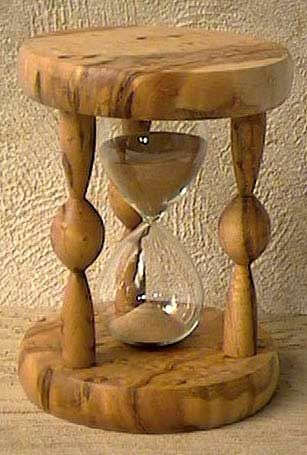 Sand hourglasses with three hours of sand each were incorporated into gameplay. These hourglasses evolved into “tumbling” chess clocks (patented in 1884), where one clock would start when the other stopped and replaced with electronic clocks in 1964. More accurate clocks led to faster time controls, including the now popular lightning chess where each player has only one minute to make all of their moves. The 18th and 19th centuries saw the rise of chess players as cultural icons and chess play become a spectator sport. 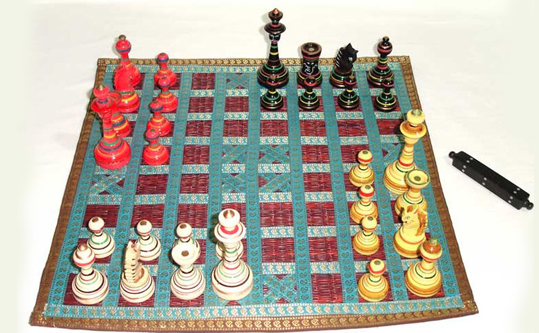 Modern chess tournament play began in the second half of the 19th century. In 1886, the first World Chess Championship was held. The 20th century was characterised by huge leaps in chess theory and the establishment of the World Chess Federation (FIDE). Online chess gaming appeared in the mid-1990s and continues to grow to this day. Although chess programs came onto the market in the 1970s, the 21st century marks the technological era of chess. In current times, the utilisation of computers for chess analysis has become an accepted norm amongst the international chess community and the abilities of recently developed artificial intelligence (AI) systems such as AlphaZero are astounding. Developed by research company DeepMind, AlphaZero is a computer program that utilises deep neural networks inspired by biological neural systems and custom tensor processing units (A.I. accelerator application-specific integrated circuits developed by Google specifically for neural network machine learning) to self learn. With no access to opening books or endgame tables, AlphaZero taught itself chess in a mere four hours through only self-play.